How well can I defend myself? – Conflict Research Group, Intl. Can you defend yourself better than the average person? Most likely you think you can. Most Americans think that he or she is more intelligent, a better driver, and generally more competent than average. Interestingly, people with the lowest abilities tend to be the most likely to over-estimate their abilities, while people with the highest abilities tend to be the most likely to under-estimate their abilities. For more on this phenomena, see the paper, titled “Unskilled and Unaware of It: How Difficulties in Recognizing One’s Own Incompetence Lead to Inflated Self-Assessments” by David Dunning and Justin Kruger. Your Defend-Score is an indication of how well are your able to defend yourself from human threats, and deal with conflicts and confrontations. Please rate your overall defend ability on a scale of 0 – 10. The following questions make up your Defend-Score. When talking with a stranger, rate your ability to determine whether this person has bad intention. When on a date, rate your ability to diagnose if your date possibly has an anti-social personality disorder. Rate your ability to distinguish between potentially dangerous fringe areas and safe areas. Rate your ability to discover alternate exits and means of escape when indoors. If someone is approaching you, rate your ability to deduce whether he or she is a potential mugger. Rate your ability to differentiate between social and asocial violence. Rate your ability to discuss the difference between resource predators and process predators. When feeling physically threatened, rate your ability to decide when it is time to take immediate action. When dealing with other people, rate your ability to delineate your personal boundaries. When dealing with people who have violated your boundaries, rate your ability to display your displeasure. Rate your ability to explain the difference between a static and dynamic threat assessment. Rate your ability to describe criminal behavior in terms of the Five Stages of Violent Crime or a similar model on criminal methodology. Rate your understanding on why it is common for people to engage in denial when faced with a life threatening situation. Rate your understanding on why it is common for people to delay acting when faced with a life threating situation. Rate your understanding on why it is common for people to do nothing, when faced with a threatening situation. When involved in a face to face confrontation, rate your ability to detect pre-assault cues and indicators. When in public spaces, rate your ability and willingness to detour around potentially dangerous situations. When in public spaces, rate your ability to deter potential assaults from asocial predators. When involved in a verbal social conflict, rate your ability to defuse the situation. When threatened by another person in a social situation, rate your ability to de-escalate the threat. When involved in a heated confrontation, rate your ability to diminish the interference of your emotions from your cognitive processes. When involved in a confrontation, rate your ability to discriminate your personal bias and viewpoint from actual events. When encountering an unknown situation, rate your ability to divine the warnings of intuition from unwarranted fears. Rate your ability to distract another person in order to launch a pre-emptive strike. When in a physical conflict with another person, rate your ability to debilitate him or her. When in a physical conflict with multiple people, rate your ability to disrupt their intentions. When in a physical conflict with another person, rate your ability to cause damage to his or her combative ability. When in a potentially deadly conflict with another person, rate your ability to devastate his or her ability to continue to attack. When absolutely necessary, rate your ability to destroy an assailant before he or she attacks you. When involved in a potentially dangerous conflict, rate your ability to deceive the other person in order to gain an advantage. When involved in a conflict, rate your ability to know when to disengage from the situation. After an incident of a physical assault, rate your ability to debrief the police on what happened. After an incident of physical self-defense, rate your ability to document your legal use of force in a court of law. Rate your understanding of how legal use of force decisions are made by individuals during threats, conflicts, and confrontations. In order to determine your Defend-Score, please total all your numerical responses and divide by 34. The result is your Defend-Score. How does your calculated Defend-Score compare to your Initial Baseline? 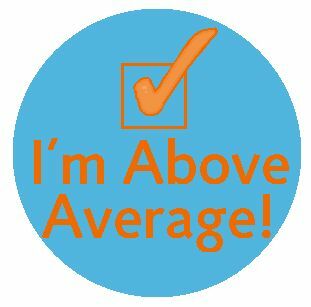 Do you consider your ability to be better or worse than the median?